Dove tattoos can carry several different meanings, but there are a few basic understandings that are usually reached when some one sees one of them emblazoned on a wearer. 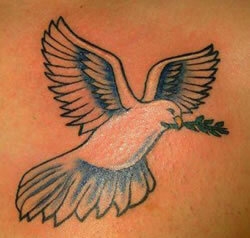 Perhaps the most universal meaning of a dove tattoo, regardless of religious affiliation, is of peace. 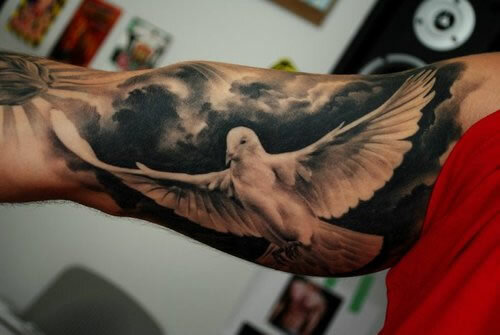 The other most common meaning of a dove tattoo is purity, such as showing dedication and faithfulness in a marriage. For the more religious wearers of these tattoos, the Christian meaning can be a reflection of the Holy Spirit, as in the Holy trinity. This being said, some dove tattoos combine all of these meanings. What Are Some Common Designs? There are many, many designs in the highly varied nature of dove tattoos. 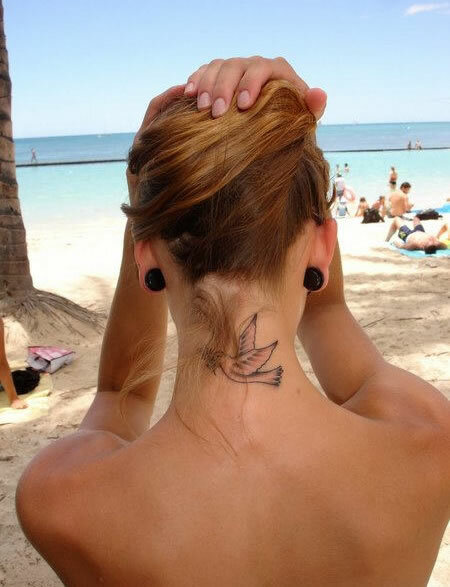 Usually, on both men and women, the designs are simple with an outline in black and some taking the initiative to completely fill in the bird with white ink. This is not necessarily an uncommon practice, but for those with fair skin may prove to be an unnecessary undertaking. 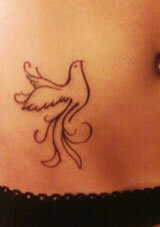 For the most part, nothing shows simplicity the way elegant dove tattoos do. While most are quite simple designs with an outline of a dove and nothing else, some may show the bird with a trinket or flower in its mouth, particularly when used in reference to taking something of importance to a deceased loved one. Dove tattoos show a lot of thought on the part of the person receiving one, because the meaning is usually permanently affixed to the thought process of the bearer. They are a common tattoo design, but all are unique in what they mean to the wearer. From purity and innocence, to a deep spiritual meaning for the person who gets one permanently affixed to their skin, and from a very simple design to a very complicated design, dove tattoos are an important symbol for most that choose to get one. What Do Dove Tattoos Mean?